A gaming chair has the possibility to save your spine. The negative effects of sitting for long periods of time are well documented. You don’t want to destroy your posture. I love spending countless hours battling 12 year olds online just as much as the next guy, but it’s important to do so with your best interests in mind. Already know about the benefits and want to see a list of the best gaming chairs? ﻿Click Here! Health - The health benefits are almost obvious. The more you slouch the worse your entire body functions. You can seriously damage your joints and spine. 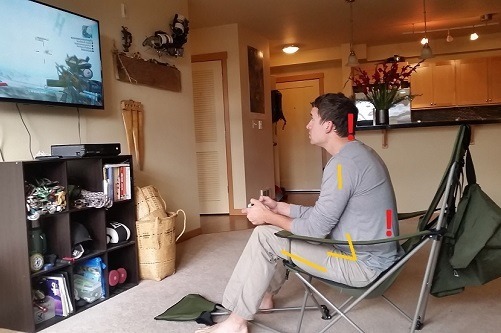 If you play a lot of video games you are ﻿p﻿﻿otentially hurting your postur﻿﻿﻿e for life. This can cause you far too many complications down the road. Simply fixing your posture can begin to fix your spine. You could even go as far to say as practicing good posture is a form of physical therapy. Performance - Think about your old math teacher. She would always tell the class to sit up straight and pay attention. There was a reason for this besides her ego. Sitting up straight is more than just a demand from your mother in order for you to look decent. Psychotherapists will tell you how much your posture affects your mind. You will be more positive, more focused, more productive, and all around better. 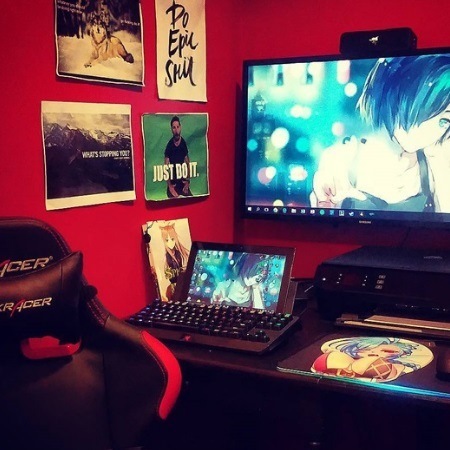 This is how you want to be when you’re gaming. You will need to be at your best in order to defeat those pesky 12 year olds online. Now you know that perhaps the way you are gaming now isn’t ideal. The solution is simple. A gaming chair can help you fix your posture and get back to a healthier you. 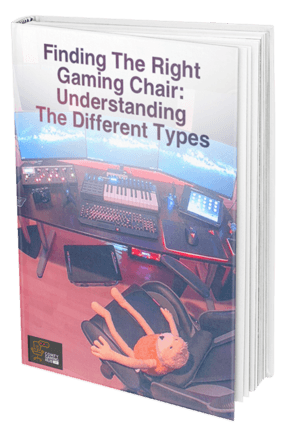 Before you understand the different types of gaming chairs, it’s important to learn why they help you. A gaming chair can cost you anywhere from 50 bucks to well over 400 dollars. Whether it be a PC gaming chair or gaming chairs for your consoles, they were designed with the same basic goal in mind. There are common themes amongst a gaming seat that you should familiarize with. In the end, the purpose of gaming chairs boils down to three basic benefits. Durability - Some of us like to game for prolonged periods of time. Several 8 hour sessions of Overwatch will put some heavy miles on your chair. Any old chair won’t do. And if you shake back and forth when you game like I do, the chair will suffer even more. That’s why gaming chairs aim to be durable. When a chair starts to wear and tear it affects your posture even more. Gamers need a chair that can handle all their use. These chairs are much more durable than a standard office chair. Comfort & Support - For starters, a gaming chair has to be comfortable. If it’s not comfortable you won’t want to sit in it. Support is the most important thing here. 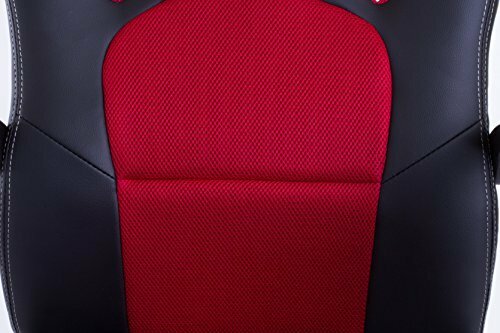 Your standard game seat will include some kind of ﻿﻿lumbar﻿ cushion for support and a headrest to support your neck. These chairs are designed to comfortably let you sink into a position that benefits your posture. Adjustability - Not everyone has the same body type. Chairs can accommodate for your weight and height, but the overall design can not look out for every nook and cranny of your body. 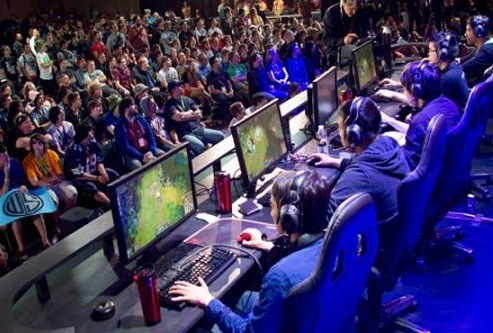 For this reason gaming chairs generally have the ability to adjust the backrest angle, the height of the chair, the position of support cushions, and armrest positions. Having a chair that can bend to your body’s need is essential for you to find the perfect mold to settle your body into good posture. Now you have a better understanding of why a game desk chair was created. They were made for your benefit. 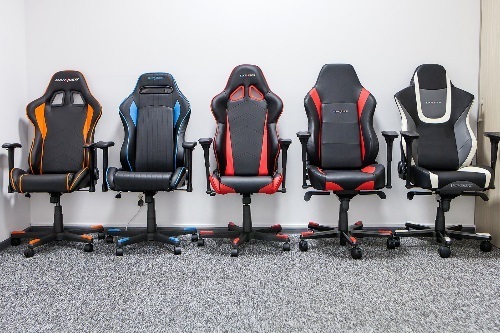 Now that we understand why they are good for you, it’s good to understand the different types and tiers of game seats so you can find the ultimate gaming chair for you. 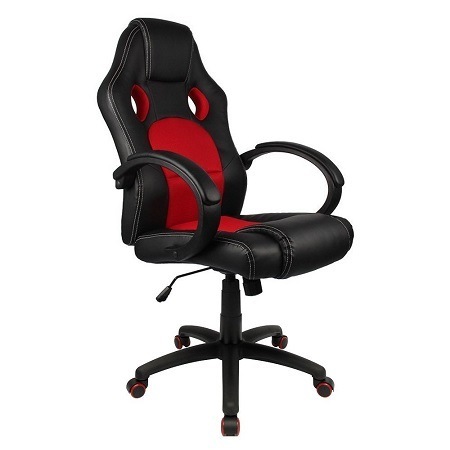 The Executive Gaming Chair has three tiers. The Basic Executive Chair is the lowest of the three tiers. The basic executive chair should not cost you more than 100 dollars. This is most often a pc gaming chair. It resembles a regular office chair. One great example of this category is the Homall Desk Chair Executive Swivel Leather Office Chair. The Homall will cost you around 80$. This category and the Homall specifically will include a 360 degree swivel base and at least some rocking capability. The Homall is covered in leather which is not the standard for these chairs, but certainly appreciated. The Homall has a natural design to act as lumbar support. Instead of a lower back cushion, the entire chair was sculpted with your back in mind. The chair has a headrest cushion and leather armrests. This chair is not amazingly adjustable. It’s not. It’s extremely cheap. To keep such a low price there were sacrifices that needed to be made. You can’t adjust it as much as most gaming chairs, and there isn’t very much added support. The frame isn’t made of steel either so it may not last as long as some of the more expensive models. That being said, for its price the Homall is great. It is a comfortable chair that is designed to fix your posture and withstand long gaming sessions. The executive chairs are best for computer gaming though they are not limited to being used at a desk. If you like the executive chair but want something a little more intense consider the intermediate executive gaming chair. The intermediate tier executive gaming chair will run you a little under 200 dollars. You will already see great improvement in cushioning and support compared the basic tier. 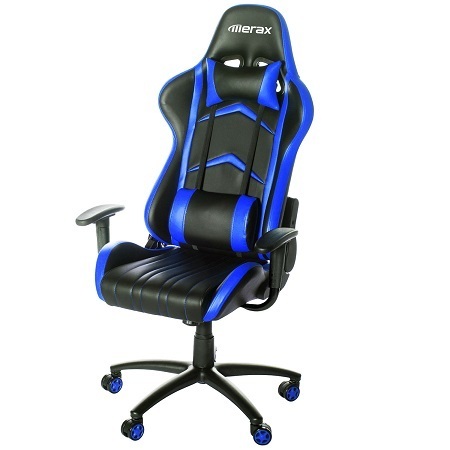 A great example is the Merax Racing Office Chair. Most of these office chairs will take a racing or similar design. The Merax will cost you around 180 dollars. The mid tier chairs will generally try to add something ‘different’ to set them apart. They need this because they can’t compete with the basic tier in price or the top tier in quality. The Merax is a great example. It includes a leg rest that may not be used that often, but is appealing nonetheless. Starting in this tier, lumbar pillows and headrest pillows are a norm. You can see that the Merax has both. The chairs also become very adjustable now. The Merax can swivel all the way back to a 180 degree angle. You can actually take a nap in the chair if you want and the legrest makes it even easier to do so. The chair has a gas cylinder that can be used to adjust the height of the chair to desired locations, but the armrests are pretty fixed in. It is a leather chair that was ergonomically designed to take pressure of your lower back. Now this tier is certainly not nearly as good quality as the the top tier. The frame is not as strong, it won’t last you as long, and the material isn’t as breathable. But it is around half the cost of the top tier chairs. Being half the cost makes these chairs a great value since they are certainly more than “half as good” as the top tier executive gaming chairs. They’re not perfect, but they are stable. They are certainly a good level above the basic tier chairs. If you are an intermediate gamer, perhaps these chairs are for you. But if money's no issue and you want the best possible chair, you will want the top tier executive gaming chair. When it comes to the very top tier of executive chairs your options are limited. Perhaps the best known company that makes the best of the best gaming chairs is DXRacer. 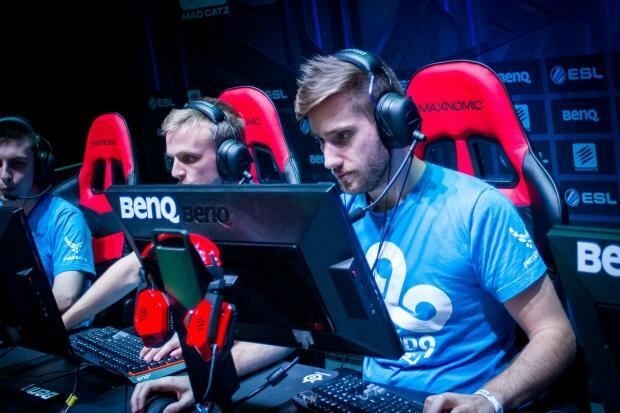 You will see their chairs in e-sports competitions as well as the homes of professional gamers. The DXRacer Racing Series is one of the best gaming chairs out there. It will cost you just under 400 dollars. DXRacer is very impressive with the effort they take in crafting each chair. They started in 2003 and have been at the head of the game since then. They take a combination of your height and weight to find the perfect chair for your BMI. This is taking comfort and support to the highest level. They offer a shopping guide for you see the options for different sized people. The Racing Series is the larger model of their best selling F-series. Despite being smaller than the Merax, it is heavier. That’s how you know it’s a good gaming seat. The best gaming chairs are heavy. That’s because they will use a tubular steel frame like the Racing Series does. On top of that they use a metal star base. This chair will not break. The frame is so strong they offer a lifetime warranty on it. It will never bend its ergonomic position leaving your spine in good hands. It comes with your standard lumbar and headrest cushion for additional support as well. The Racing Series comes with 4D armrests which change the game of adjustability. You can literally move them in any and every direction. Their patent race car seat is an extra breathable material which leaves the chair feeling fresh even after an 8 hour long gaming session. This is by far the best of the executive gaming chairs. 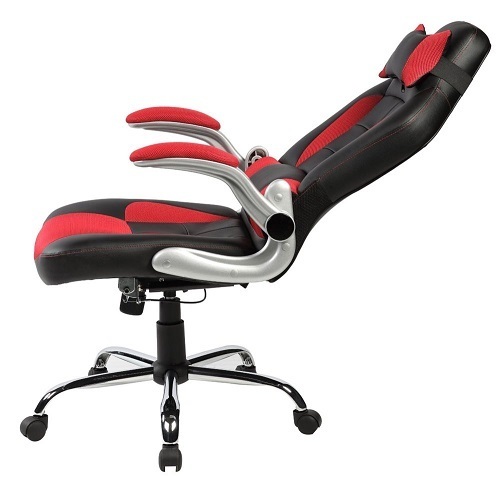 The executive chairs in general are the most preferred as they are ideal for computer gaming as well as console gaming. Out of all the types of chairs these are the most orthopedic as well. But maybe you’re not so intense and want something more casual. Maybe you just want something to throw in front of your TV that you can game on. If you don’t liken yourself to a potential or aspiring professional gamer there’s no need to invest hundreds of dollars into a gaming chair. However, if you are a serious gamer make no mistake. 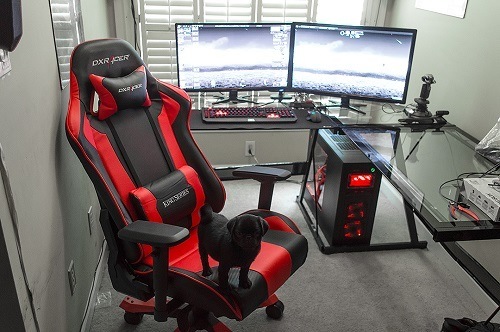 The chair costs the same as a console but for some reason, gamers think they are above the specifically crafted gaming chair. This purchase could be the best one you ever made. The only reason these chairs aren’t as popular as their console counterparts is because you don’t notice the health benefits immediately. The cheap floor rocker is a more casual type of gaming chair. It is in an L shape and they are generally very portable. A great example is the Cohes﻿﻿﻿ion XP 2.1 Gam﻿﻿﻿ing Chair With Audio. This chair will only run you about 50 bucks which is nothing when compared to the 400 dollar DXRacer. The chair is very small. Its size is a double edged sword. On one hand it is lightweight and portable. You can fold it in half and store it away in your closet when you’re not using it. This portability comes at a price. It’s not the ideal charge for a larger individual like myself. It’s small, which makes it a little difficult to get in and out of. It’s a little too close to the ground for a large adult to comfortably sit in, but it’s perfect for children. It comes with two integrated speakers and an easy to use control panel to operate them. The speakers are fun to use but don’t have a great bass quality. That doesn’t mean they’re not loud, because they are. The speakers are nice added fun but the whole chair isn’t great support for an adult. The chair is a great buy for children though. It’s much better suited for children. It’s very cheap, which makes it a decent gift for any children in your life. If you’re attached to the idea of a rocker but want something more serious, consider an X Rocker. The Cohesion is really for children. There is a next level floor rocker that is a much more serious gaming chair. The floor rockers are more for console gaming. When you want to get up close and personal, you would use a floor rocker. The problem is they aren’t as good for your back. Finding a floor rocker with a good ergonomic design is a little difficult, but the X Rocker 51396 Pro Series Pedestal 2.1 Video Game Chair does a good job. It will set you back around 200 dollars, but it’s a pretty awesome chair. One of the main problems with the Cohesion is that the speakers lacked bass. The X Rocker solves this by pairing its two integrated speakers with a subwoofer and it really packs a kick. The speakers use Audio Force Modulation Technology which really boosts sound quality and makes your entire experience better. It comes with a pedestal base so the rocker isn’t as low to the ground as a cheaper model.The pedestal also gives you full 360 degrees swivel capability. The entire chair is black leather with gunstock armrests. It’s a high end rocker. It’s significantly nicer than the cohesion, but for this reason costs four times as much. 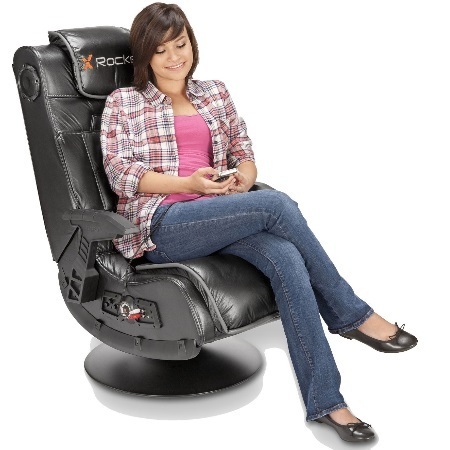 If you’re a serious gamer but only play console games, maybe the X Rocker is your chair. 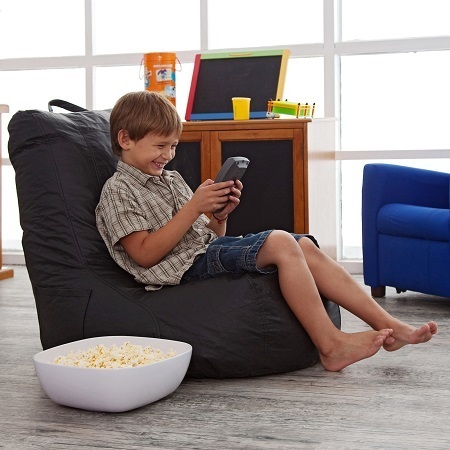 The bean bag is fun and all but it’s not the best for your posture. It’s more of a toy than a tool. You can’t come to rely on the bean bag as your main gaming chair. It’s more so the side gaming chair you bring out for a friend or that you give to children. If you are purchasing a bean bag gaming chair, make sure you get one in an ergonomic shape such as the Ace Bayou Mesh Video Gaming bean bag. Now there are nice tempurpedic high end bean bags out there, but if you’re a serious gamer, they’re not worth it. They won’t provide you with the same level of comfort and support that a more specifically designed gaming chair would bring you. The Ace Bayou will cost you around 30 dollars. It’s very cheap compared to most other gaming chairs but that’s because it doesn’t have any of the traditional features or support. The Ace Bayou has a very breathable mesh and is made of 50% recycled material. The chair is fun to sit in for a casual gamer or for occasional gaming. It’s quite stiff for a bean bag which is another double edged sword. On one hand it provides more support than your average bean bag would. On the other hand you lose some of that novel comfort that bean bags bring since the Ace Bayou isn’t as malleable and squishy as other bean bags. Are you a computer gamer, a console gamer, or both? How many hours do you spend gaming in a single session? ​Is this chair for you or for a friend? ​Do you need a new desk chair as well? Do you see yourself gaming hard in say 5 years? 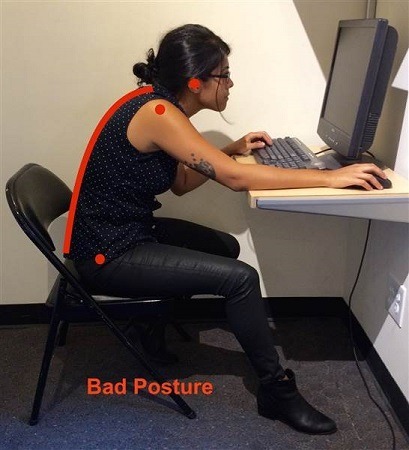 Is posture your biggest concern or fun? Now it’s important to ask yourself some questions so you can know which chair is best for you. If you are just an occasional gamer, maybe a cheap floor rocker, a bean bag, or a low tier executive chair are for you. If you don’t plan on spending long hours of the day gaming then there’s no need to buy an expensive chair that was built to withstand such pressure. But if you are a serious gamer, you should think about how you game. If you only game on the PC then you need an executive chair. 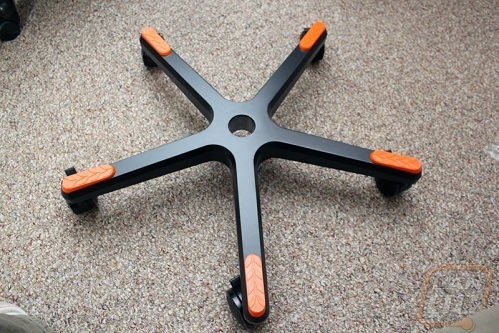 If you only game on the ground in front of your TV in the living room, maybe invest in an X Rocker. Honestly the executive office gaming chairs are the best in terms of overall gaming chair quality. The top tier executive chair is what is used by most professionals. You can roll it over to your console or to your computer so if you are a versatile and intense gamer, you should go with the top tier executive. Of course, budget is a big constraint for people. If you need to spend under 100 dollars your options are limited to the bean bag, the cheap floor rocker, and the basic executive chair. In terms of quality the executive chair will always been, but it’s the least fun out of the three. If your biggest concern is posture or performance, again, it seems imperative that you go with the executive chair. If your biggest goal is fun, it doesn’t hurt to have speakers built into your chair like the Cohesion and X Rocker. 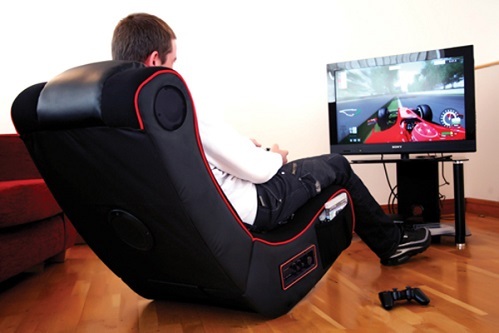 Whether you want a bean bag or a high end racing chair, a gaming chair is always an improvement from an old couch. Gaming chairs should be imperative for the next generation. We already have thousands of up and coming adults with disadvantaged posture. Don’t get stuck in the cycle. Your entire body will benefit from improved posture. Your gameplay will receive a boost as your body will bring in maximum levels of oxygen and focus. The more curved your spine is, the harder everything in your body has to work. On top of that, 5 years from now you can still comfortably game. You don’t want to suffer from a bad back and spine and a gaming chair is one of the few ways to fix your back. Understand that your gaming chair will be suit a combination of your needs and budget. Since the chairs are structural in nature, you get what you pay for. You need better materials and steel if you want a durable and long lasting chair.